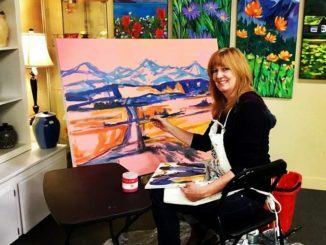 Almost 10 years ago, Cindy courageously jumped from a successful, award-winning graphic design career to pursue her lifelong dream of painting. She describes the decision as if “jumping off a ledge into a deep bottomless canyon.” She could not resist the desire to do work that was more personally directed, which allowed her to be more present and explorative in her art. 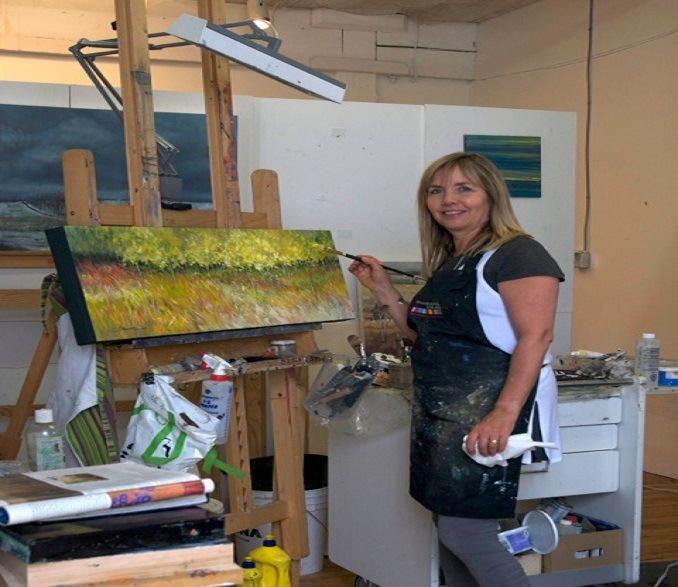 Cindy has never turned back and now paints full time, striving to develop, experiment and challenge herself with each new canvas. 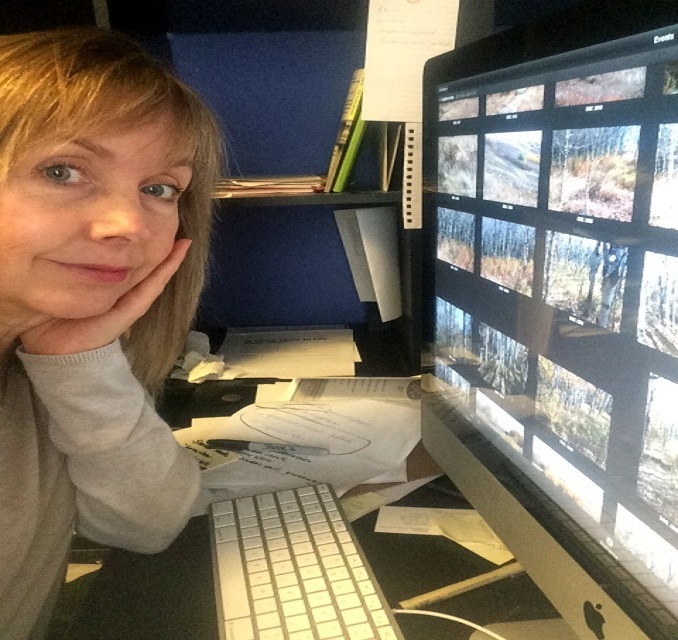 Cindy finds true joy and purpose in seeing others’ emotional response to her work, and loves bringing a new beauty to her world with her work. Cindy is active member of a number of local art groups, and loves to hike, bike, swim and spend time with her family and friends. 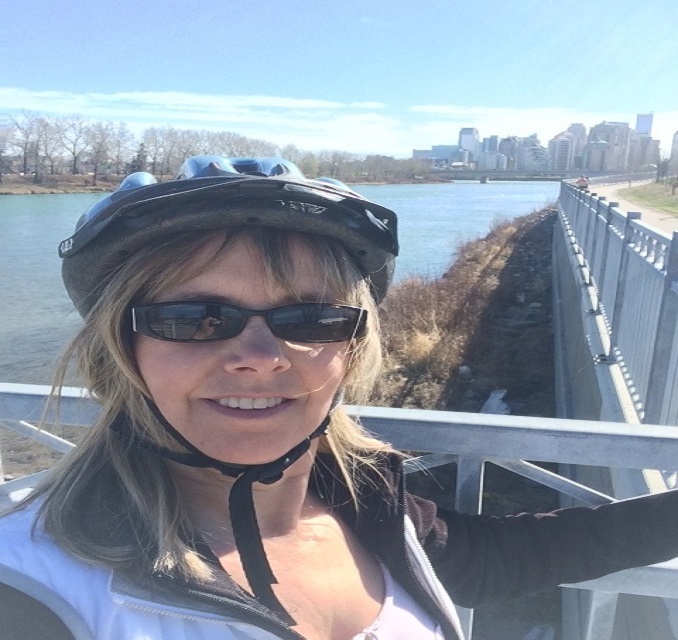 Travelling and enjoying all the arts and culture available here in Calgary add adventure and richness to her life. My sketchbooks are not really showpieces, they are messy! 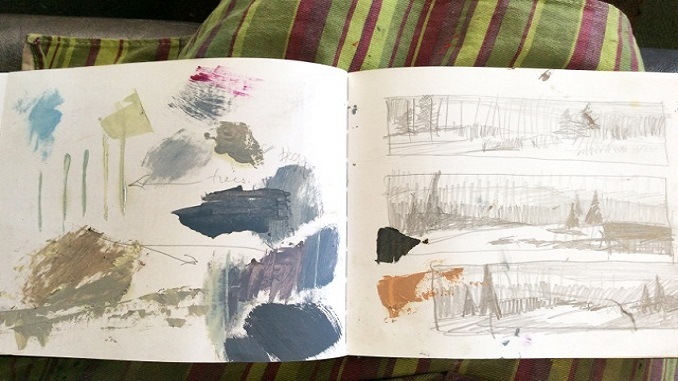 I sketch to help me establish composition, record ideas, and make colour notes. 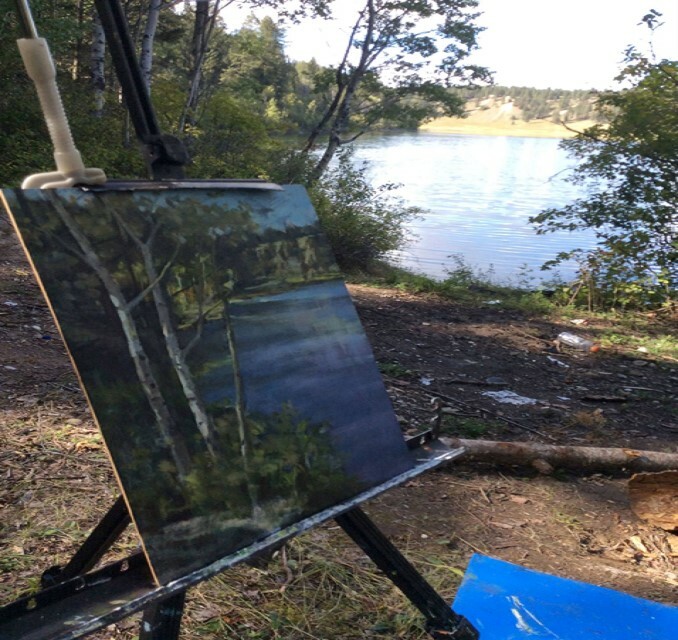 Learning to isolate your subject and catch the mood and lighting quickly is the challenge in plein air painting. In this particular session a dog came running, trampling all over my palette and supplies, it’s all part of the experience – I was just happy he was friendly! 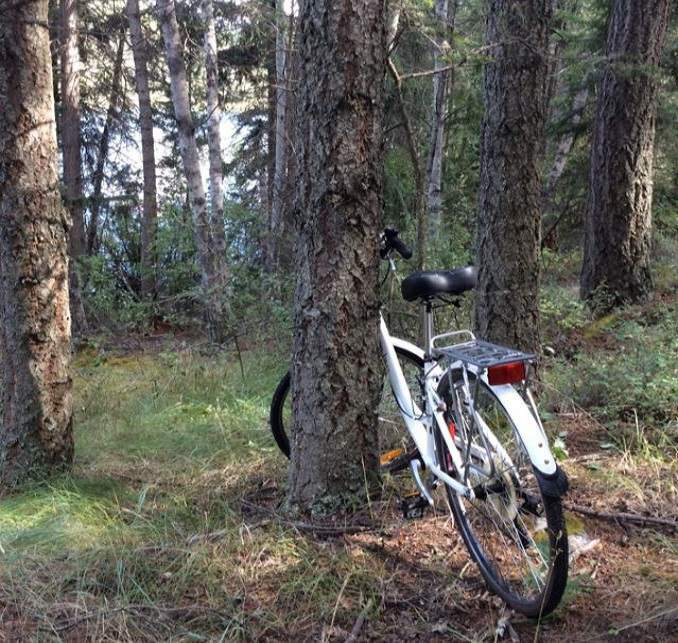 Regular biking or walks to experience nature restore my energy! I’m always looking for reference photos. I find I have to experience the place before it really becomes something I’m interested in painting. 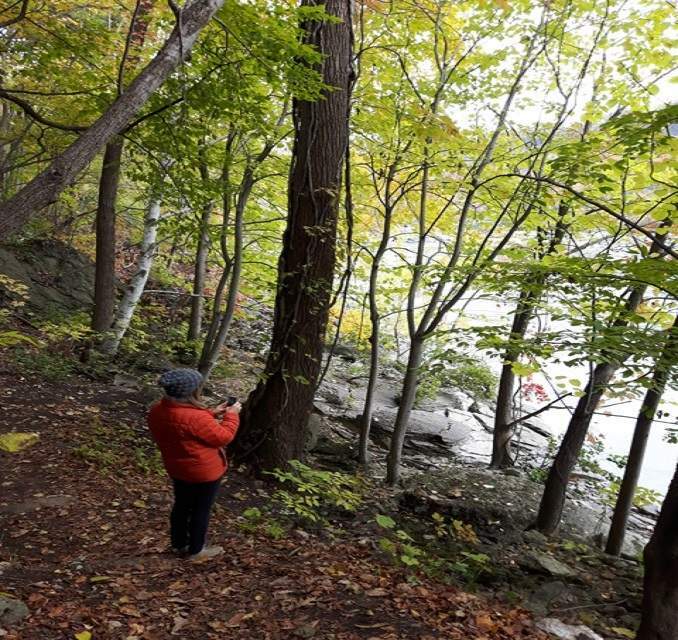 I live in Parkdale and love having direct access to the river where I am often walking the trails and finding inspiration for a painting. I can also easily bike to my studio space in the beltline from this location. I create paintings which are nature inspired, impressionistic and often focus on prairie landscape. 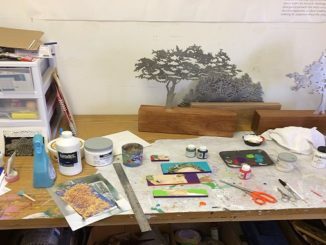 Continually balancing my need to be creative, to explore and develop my work while taking care of the business aspects of showing and selling paintings keep me busy. I’m applying for some new exhibit opportunities, planning and finishing a few pieces for a November show and working on a large commission piece featuring the wildflower season in Waterton. Most of my work is on my website. You can also find me on Instagram and Facebook. My paintings can be seen at three Alberta Galleries. The Candler Gallery in Camrose and the Lineham House Gallery in Okotoks and the Leighton Centre Gallery in Millarville. To be among the first to view new paintings as they become available I encourage people to sign up to my email list! 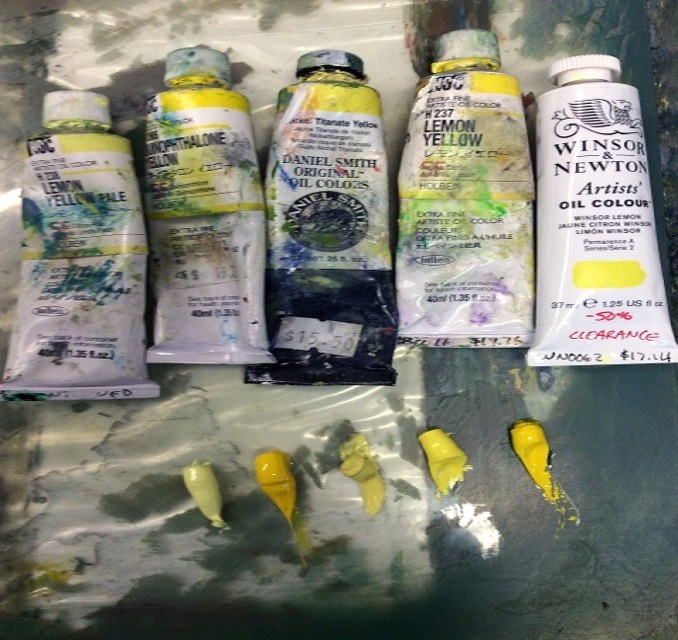 I’m also on social media connecting with people who enjoy seeing my development as a painter.